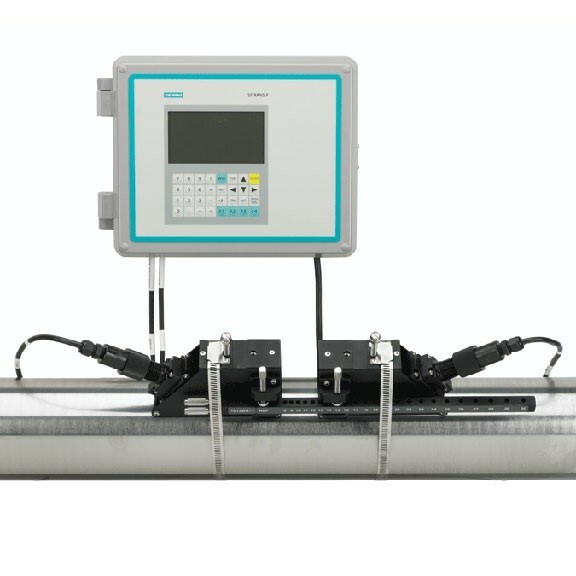 The SITRANS FUS1010 is the most versatile clamp-on ultrasonic flowmeter available. Because it can operate in either WideBeam transit time or Doppler mode there is no need to change the meter when operating conditions change. This makes it suitable for virtually any liquid, even those with high aeration or suspended solids. The SITRANS FUS1010 is available in single, dual and optional four channel/path configurations. There are three enclosures to choose from: wall mount, wall mount explosionproof and compact explosionproof. Application examples include raw and potable water, effluent, condensers, chillers, nuclear, process control and batching.